My office is on the back side of the 1st building, 3rd floor. (New Clients, Click here) Walk through the atrium/breezeway, walking away from the street. 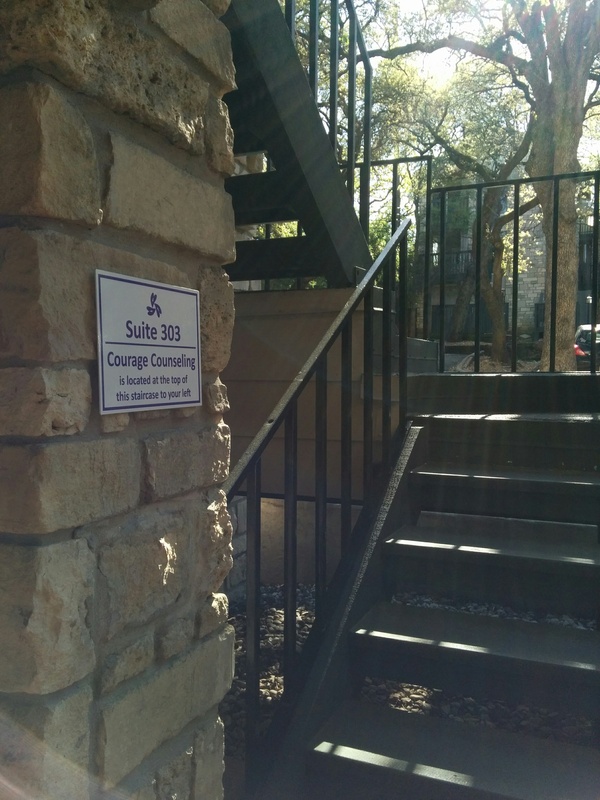 Take the stairs that begin right next to the restrooms and mailboxes. Walk all the way to the top and then all the way left. When you arrive, please quietly take a seat in the waiting room. You may help yourself to tea or water. 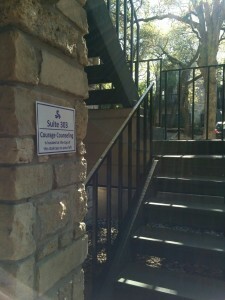 Stair case leading to Suite 303. 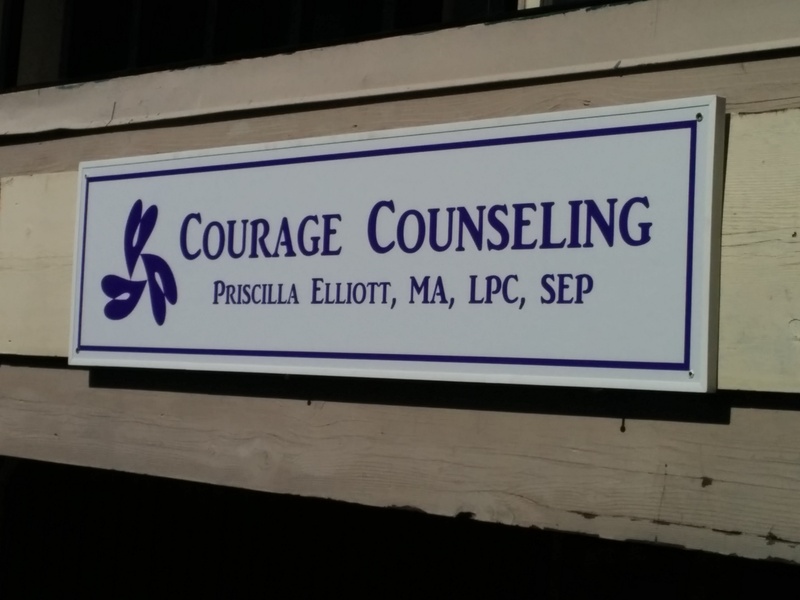 Courage Counseling is located at the top of these stairs to your left. I will come out to greet you when it is time for your appointment. If you have not done so already, please fill out the paperwork on the pink clipboard above the water cooler. Parking: Parking is usually available in the lot around the building. Any open spot before 5 pm is safe to use. Watch for signs assigning spaces during the hours of 5-7 pm. Commercially zoned parking is appropriate for clients. If the lot is full, there is usually turn over right at the turn of the hour. Also there is street parking available on Larchmont and Valley View Rd. 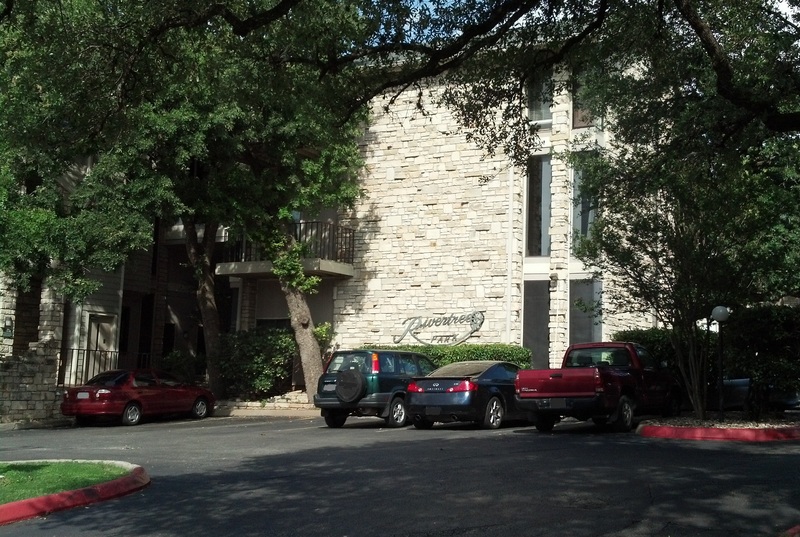 Direct phone number and confidential voice mail: 512-673-3987. I answer all calls possible between the hours of 9 am and 6 pm on weekdays, unless I am in a session or on the other line. All voice-mails are returned by the end of the following business day, most are returned the same business day. I do not receive texts. Please realize that email is not to be used for emergency situations. Voice-mails are usually returned within 1 business day. If in crisis, call the crisis hotline: 512-472-HELP (4357) or 911. 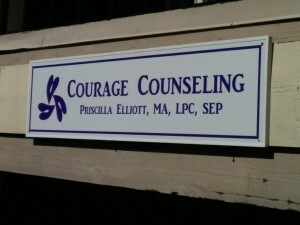 Sign for Courage Counseling hanging from the balcony of Suite 303.